With the PayPal for WooCommerce Multi-Account Management plugin installed you are ready to begin creating accounts and configuring rules to specify when each account should be used. NOTE: If you need help installing the plugin refer to our install guide. By default, orders will be processed using the account you have configured in the Express Checkout gateway settings provided by the PayPal for WooCommerce plugin. Here you will add additional account(s) with a rule that specifies when this account should be used instead of the default account. 2. Click on the Multi-Account Management tab. 3. Enter details for the PayPal account you are adding. Check the box to enable the account if you would like it to take affect immediately. You may enable / disable this option at any time by editing the account record after it has been created. If you are setting up a sandbox / test account, check the box to enable sandbox mode for this account. NOTE: You will need to create a sandbox account for testing purposes if you wish to use sandbox / test mode. Enter a nickname for the account you adding so that you can easily tell all of the different accounts you add apart. Example: You might call one account “Test Account” that is configured with the sandbox, and another account “Live Micro-Payment Account” for your actual PayPal account used for micro-payments. You will need to populate these values with the API credentials provided by your PayPal account. NOTE: How to Create PayPal Username, Password, Signature. NOTE: Make sure to enter sandbox credentials if you are setting up a sandbox account, and live credentials for a live account. These would not be the same. Use the drop-down boxes to create a trigger that will control when this account should be used instead of the default account configured in the PayPal Express Checkout settings for your site. This rule would trigger this PayPal account for use any time the order total is less than $12.00. NOTE: Right now the only trigger condition the plugin supports is based on the Transaction Amount. We will be adding more conditions in future updates of the plugin so that you can create rules based on many different variables. 4. Save the account settings. Once you have all of the details filled in for the account you are setting up, click Save Changes to save the account. You will then see the account in the list of accounts displayed below the form. Below the form on the Multi-Account Management tab you will see a list of all accounts you have added. Hover over any account in the list to reveal options for Edit and Delete. Edit or Delete an existing account configuration. Hi, I need urgently the functions of this plugin to select the PayPal account by product. If it is already developed I buy it now. Thanks! We just recently released an update that adds Role Based and Product Based condition triggers. I don’t have much documentation prepared yet, but it’s pretty straight forward when you get it installed. no commission but my fellow ladies can get paymentdirectly to their PP account. is it possible now? I would like to know if this plugin allow to make paiement without going to the Paypal website? Do the user stay on the shop? (Like with the Woocommerce Advanced Paypal plugin?). The plugin that handles the payments would be our free PayPal for WooCommerce. This plugin is an extension to that plugin, so I just want to make sure you understand that first of all. 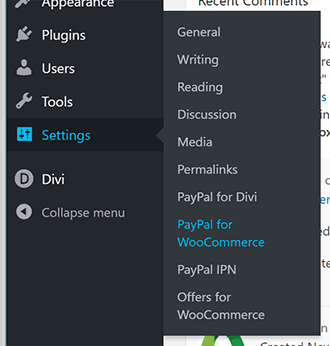 With the PayPal for WooCommerce plugin you have lots of options for different PayPal gateways to enable on the site. I recommend Express Checkout w/ Smart Payment Buttons enabled. This will use an iFrame on top of your site. If you want direct credit card processing in addition to that you could also enable Braintree or PayPal Pro. Those would have to be approved and enabled on the account before you can use it with the plugin. If you have any questions or concerns about any of that you can submit a ticket to us directly and we can help you more. Does this work with custom fields? Have the plugin check to see the value of a custom field and then trigger a PayPal email address to process the payment to at checkout? That is not something it supports right now, but I like that idea. We will add this to our backlog for a future update. Thanks! Hi – I’m looking to have a solution that will allow specific products to be purchased through a specific paypal account. Similar to two stores on one wordpress site. Products on page A will be purchased through paypal A and products on page B will be purchased through paypal B all in the same wordpress site. Furthermore, products on page A cannot be purchased through paypal B. Is this something that your module can handle? Thanks! Yes, it can do exactly that! What you would do in this case would be setup two separate product categories, and then each page can display products from the different categories. Our plugin can then be used to create rules that specify that orders for category A should be paid to PayPal A, and orders to category B should be paid to PayPal B. I think that would get you what you’re wanting. Let me know if you have any questions or concerns about that. Thanks! Do you have “resources” setup as attributes in WooCommerce with variable product configuration, or how exactly do you have this setup? Not sure I’m completely clear. I am trying direct payments to different Paypal accounts based on which product it is. We have merchandise, which the proceeds should go to the business paypal, and a book, which the proceeds should go to the author’s paypal. Will this pulgin do what I’m asking? Let me know if you have any other questions or concerns. Thanks!